Hi TipsDrive Readers.. 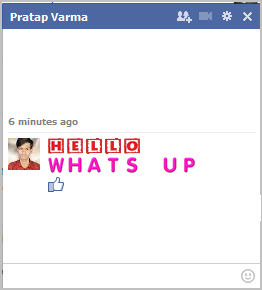 Here is the mega fonts collection for the facebook chat. Enjoy this collection. Step:1 Select your desired font style. Step:3 Copy and Paste the generated code in your facebook chat. This app is mainly made to target teens. I have found teenagers liking these kind of flashy things. I remember writing messages in different kind of fonts few years back when i was in orkut. Now i don’t have interest in it anymore but surely it will be useful to face-bookers.